The first stage regulator is attached to the air tank and distributes air to four recipients: Two second stage regulators (main and backup), BCD inflator hose and pressure gauge. The diver is breathing through the second stage regulator, which is attached to the mouthpiece. The "octopus" is the most important component of the diver’s rig, as it provides breathing air. The system consists of hoses and pressure regulators in two stages: The first stage regulator is attached to the air tank and reduces the pressure from maximum 200 bar to approximately 9 bar. The second stage regulator is attached to a mouth-piece and connected to the first stage by a hose. It reduces the air pressure to ambient water pressure (1 to 4 bar). 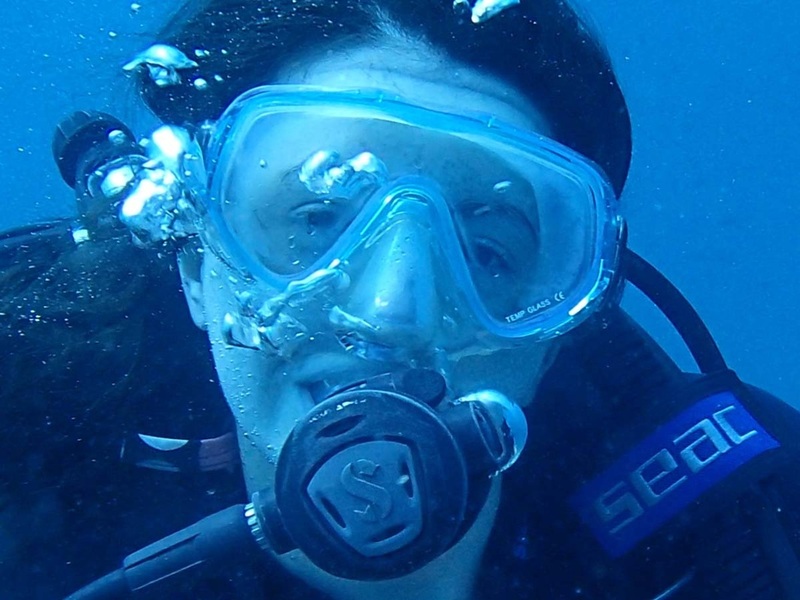 Air is only delivered when the diver inhales (“on demand” system). 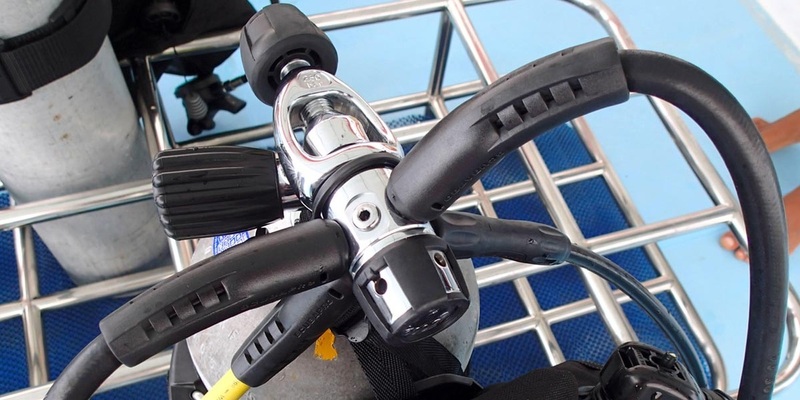 For safety reasons are divers equipped with an additional second stage regulator. It is a backup in case your first regulator fails (in a dive did my mouthpiece fell off) or your dive buddy is running out of air. It is colored yellow and attached to the front of your BCD so it is easy to locate. In addition is there a hose to a pressure gauge, so you can check the amount of remaining air, plus a hose connected to the inflator of the BCD.